During labour and pushing, I had strong lower back discomfort. After a few hours of pushing the baby was still not progressing as far down as we would have liked. We did an internal and confirmed I was fully dilated. Unfortunately, her head had not turned and she was posterior. We tried pushing her the right way but she stayed put. It was at this point she had done a poo inside and we called the ambulance. The ambulance was the first time I felt anything that I would describe as pain. An hour later I had a spinal tap. They tried to rotate her with forceps but she again, wouldn't move. We immediately had a cesarean. She was born at 1.53am weighing 3.38kg. It was the most beautiful, emotional moment. I was so happy to finally meet our girl and found humour during the surgery. She was calm and under no stress during the entire labour and birth, with a good heart rate. I am so proud of myself and despite things not going to plan I couldn't be happier. 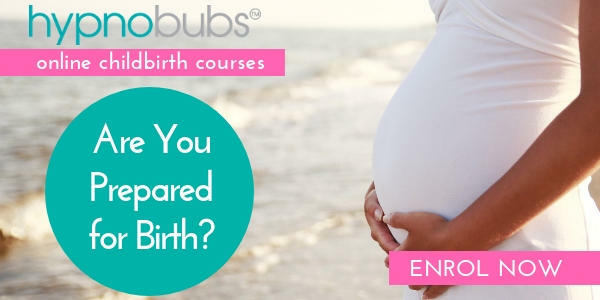 Hypnobirthing helped me through a long, drug-free first and second stage and I was able to overcome all fears when things changed. Thank you so much Melissa. Without the Hypnobubs Online Course, I think I could have easily had a bad experience, but I very much enjoyed it. I now know how strong I am and how powerful the mind is.